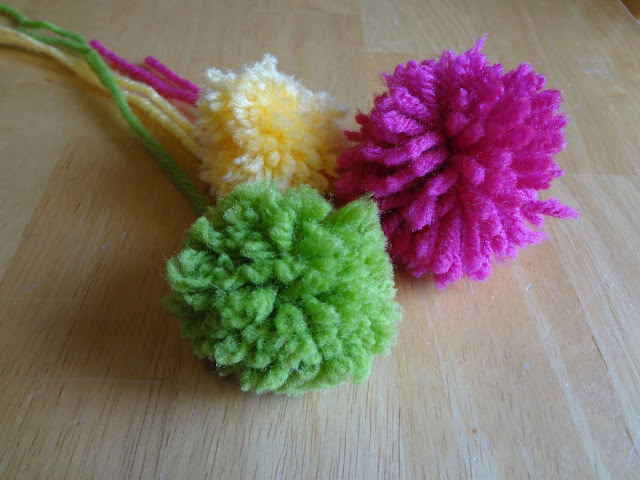 This is one of the easiest ways to make a pom pom. 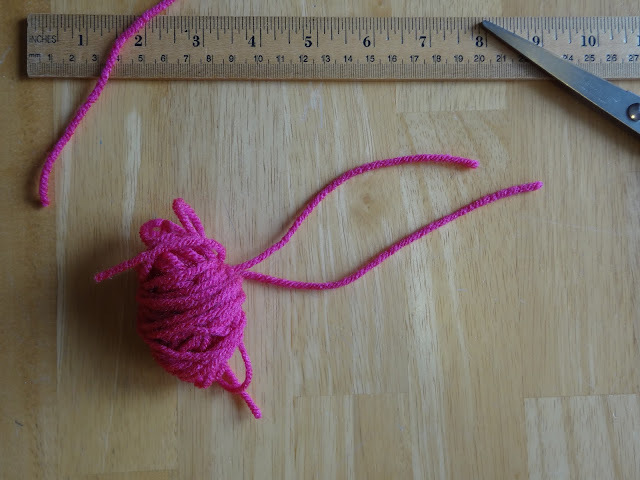 This tutorial is so super simple and requires minimal tools, no special gadgets required! Pom poms are so cute added to your knitting and crochet projects and add a bit of whimsy. Use them on hats, throw pillows, make a garland out of them or put them on the ends of a scarf! 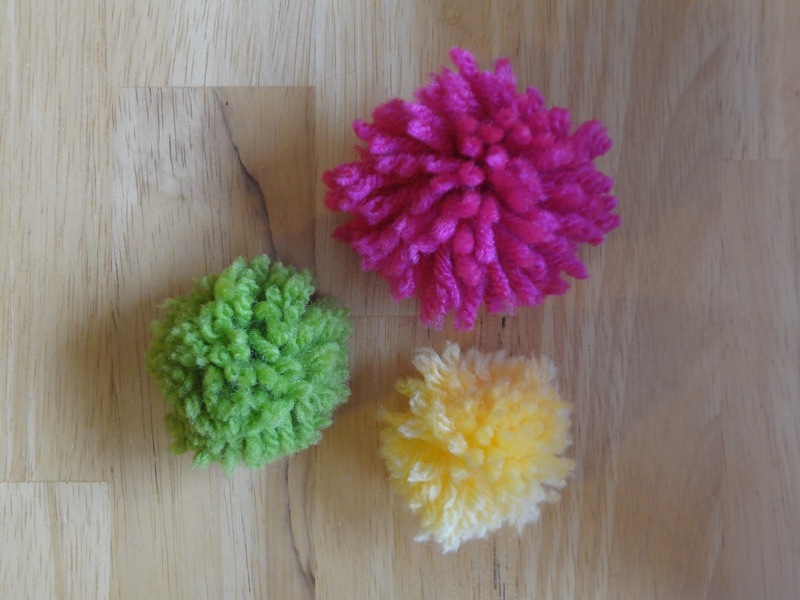 and around three fingers for a larger pom pom. 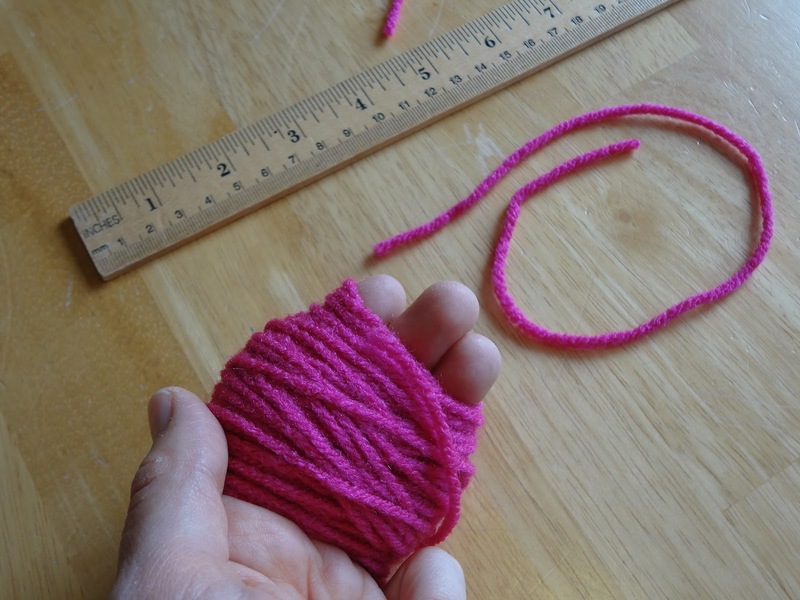 If you want a larger one, go up to four fingers, just be sure as you go up in size to wrap more yarn around, to keep it from looking too loose. 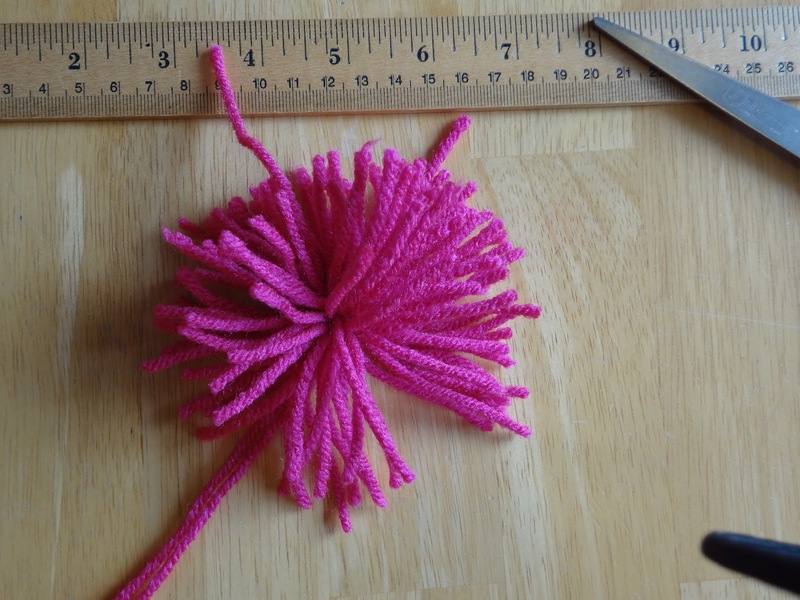 Note: this pom pom is a bit looser, if a denser pom pom is what you desire, simple wind more yarn around your hand before tying off. Now for my favorite part! 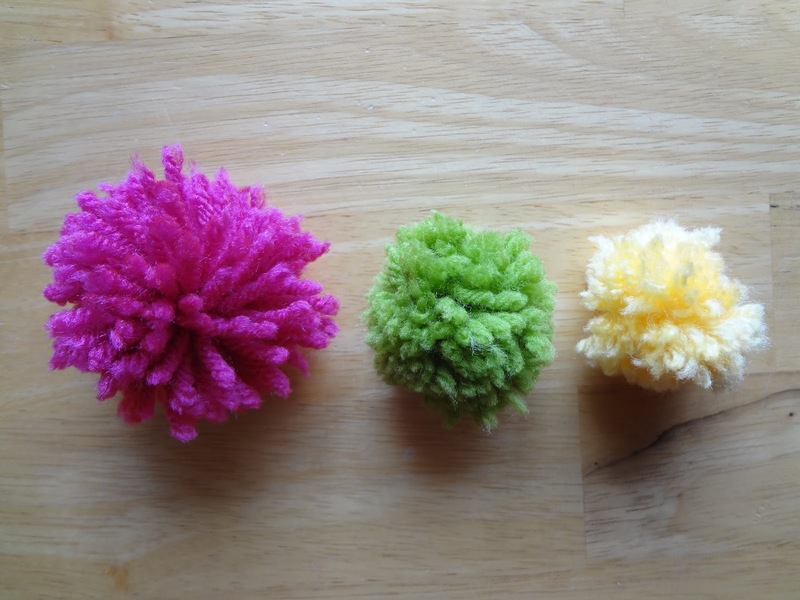 Give your pom pom a "haircut" and snip until ends are uniform. 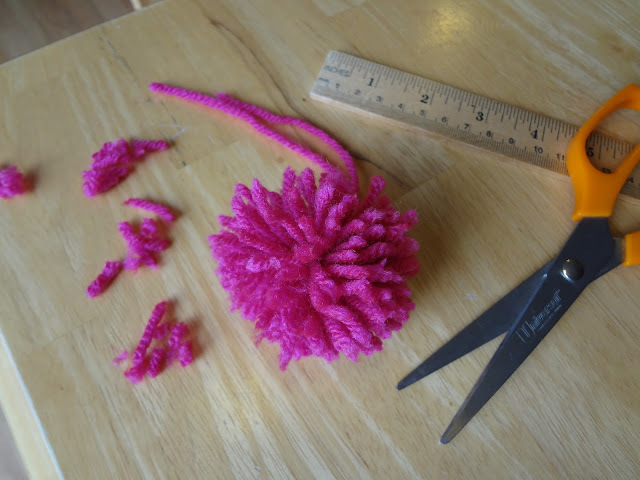 For this pom pom I cut it back a bit more to make it looks fuller. The more you snip back, the fuller/denser the pom pom will be too. 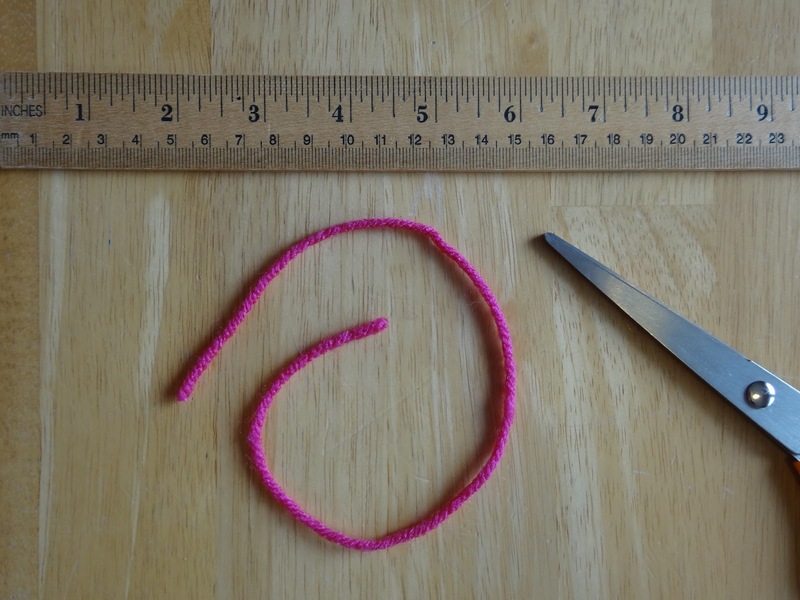 Or you can snip the tails if you'd like to glue them to something, as shown here. 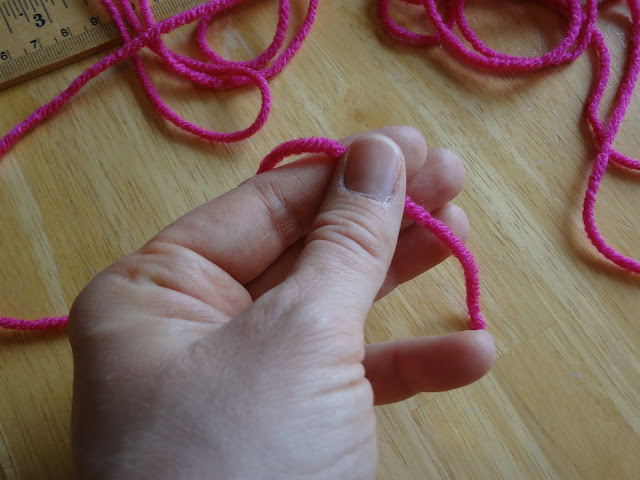 I experimented with some different yarns to make these, try several for yourself too! I used baby yarn for the yellow one and it was particularly interesting because it turned out to be extremely fuzzy, almost like a cotton ball. These are so fun! 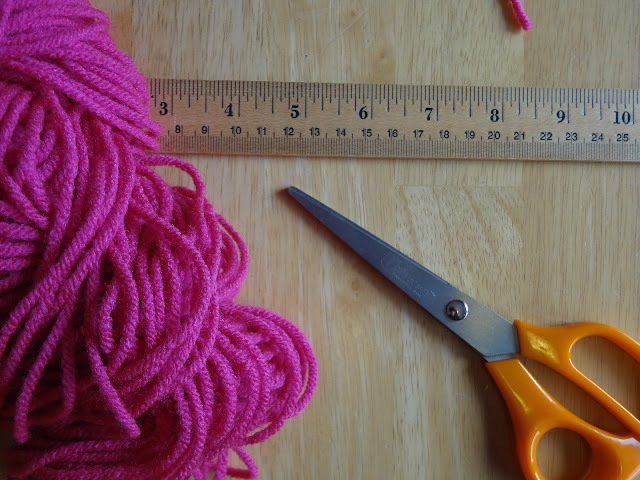 Yes, it is a lot of fun experimenting with different yarns...some make a "fuzzier" pom pom...it also matters how many times you wrap the yarn around your hand, the more times you wrap, the denser it will be. 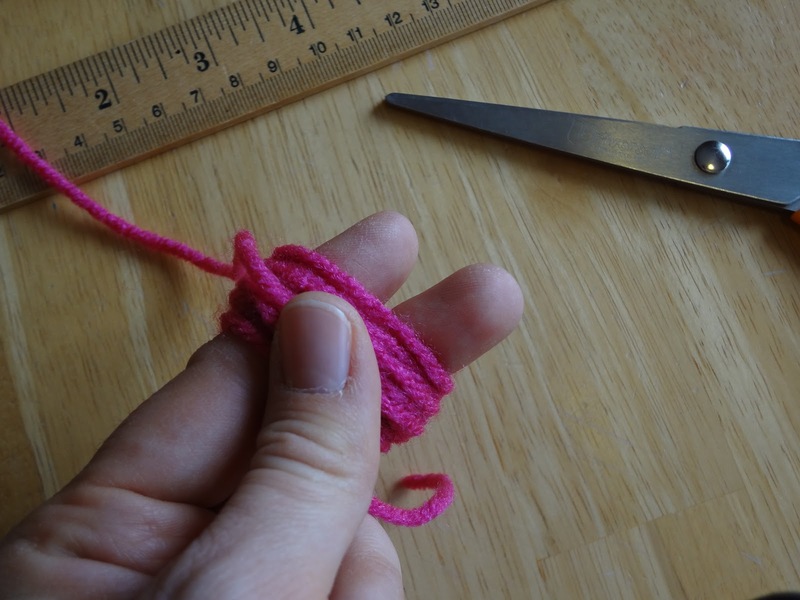 Wrap it less times and you'll get a looser looking pom pom.